Last week students Jennine Punzone and Manasvi Abrol of Miami Ad School Brooklyn incurred the wrath (well ... not really) of no less than Philip Morris, having used a class assignment to propose an app called Bump a Smoke. If you're a social smoker, or just somebody who comes up a stick short once or twice too often a week, the idea is brilliant. 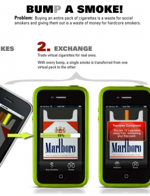 The hypothetical app lets you buy virtual smokes, which you can then exchange for real ones. Kiran: The "Bump a Smoke" concept you posted this morning is in no way related to Philip Morris USA or the Marlboro brand. The company does not approve of this use of its trademark. Could you please update your post to clarify this or remove the image? Thanks. This isn't creepy at all. To plug its aggressively pink N8 smartphone, Nokia's produced "Freedom," a music video that Influencia describes as "a mix of Lady Gaga, Rihanna and The Exorcist." 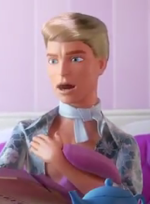 Its frontliner is none other than Mattel's Barbie, circa 1950s or around the time the pointy bra was born. Barbie appears in all her plasticine antiquated glory, outfitted in a pink the same shade as the N8, sometimes with garishly coloured hair, other times with Sharpie tattoos, at least twice with Nokia signs covering her mammaries, and a few times -- disturbingly enough -- lounged on top of an N8 amid a circle of her own disembodied limbs. Nike's ads are epic so often it's almost banal. But this latest, "Chosen," is an anthem like no other. Filmed over two years across seven locations (Hawaii, Florida, New York, Los Angeles, Whistler, Aspen and Bali), it whets your appetite for adventure with bruising sports too often relegated to boyish recreation: skating, surfing, BMXing, snowboarding. Famous faces include skater Paul Rodriguez, snowboarder Danny Kass, and surfers Julian Wilson and Laura Enever. But as good as their cameos in pro form is the brand finale: the swoosh, and Nike's "Just Do It" slogan -- symbols tattooed into our cultural roots -- brought to the fore in flames. Perhaps the advertising you would expect from Volcom clothing , but this is a new step for a company such as Nike. 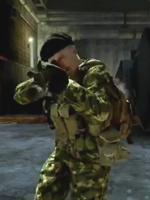 For Call of Duty: Modern Warfare 3, TBWA\Chiat\Day Los Angeles and The Ant Farm produced four geo-specific teasers that reflect strategic Western-World locations, aired in their respective real-world counterparts and elsewhere. The teasers ran globally offline and online, driving seething viewers who will likely never go to war -- but will fantasise about it anyway -- to watch the NBA Western Conference Finals and Champions Leagues Finals, where the :90 World Premier was aired. You've seen site and page takeovers, right? Choose your own adventure sagas? Cross website integrations? Well, Paris-based Agency H has combined all three and more resulting in a very cool experience they call "surfing telling" for Mennen. What begins as a video takeover on Dailymotion continues across a multitude of site including Facebook, Pizza Hut, Eurosport, Micromania and various blogs until it circles back to the original branded Dailymotion page. It's an interesting story about the travels of a single stick of deodorant. Really nice, really engaging work. 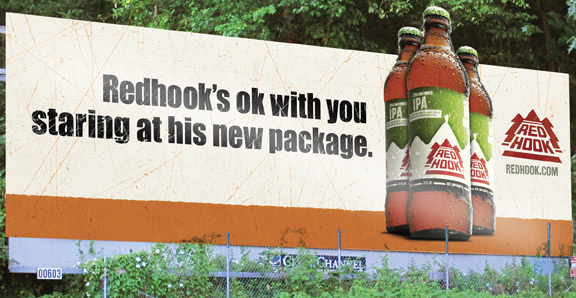 Red Hook is out with a new billboard, print and online campaign to tout its new shortneck bottles and give the bottle some 'tude. Created by Frank Unlimited, campaign headlines include, "Redhook is ok with you staring at his new package," "Redhook likes his new label, but he'd rather go commando," "Redhook looks forward to the whole spanking thing on his birthday" and "Redhook isn't the type to use 'party' as a verb. This year he'll make an exception." The bi-coastal campaign includes thirteen different headlines. In the Pacific Northwest, they will appear in alternative papers including The Stranger, Seattle Gay News, Seattle Weekly; on urban and highway 14' x 48' and 20' x 60' billboards, and wallscapes; and on websites (eight banners only) including ESPN, Yelp, SeattleTimes, SeattlePI, Pandora. In New England, print placements are still to be determined, as are planned radio spots and P-O-P and event marketing. Wait, what? It's Mother's Day again? Yes. It's that time of year again when Dads and kids typically struggle with just what to get for their wives and mothers - and when Mom works on her best "Gee, thanks, I love it" face. But not this year. Mom and online publishing veteran, Marile Borden, saw an opportunity for Moms to be a conduit between the brands and gifts they love, and the people who typically buy for them. The result? 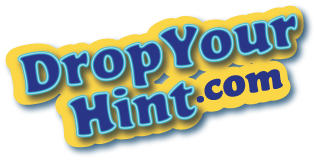 DropYourHint.com, a website that helps Mom drop clever hints to her family via email and social media which, of course, helps Dads and kids act on those hints. - Marina Orlova examines Spring Fever on a segment of her Too Hot For Words show for Anastasia date. - Renegade is rebranding as Renegade Communications and will become...wait for it...a 360 degree communications company. - Swedish drink Festis offers you a chance to win free product if you can unbore grandpa with your webcam antics. Careful, ladies. Too much cleavage or thong could give the guy a heart attack! - The lawsuit over the quality of its beef against Taco Bell has been dropped but Taco Bell isn't staying quiet.